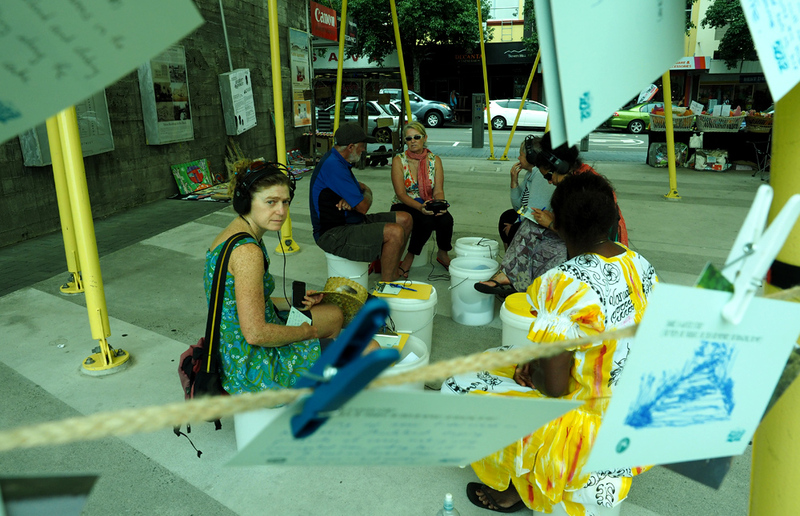 The project was presented on the International Day of Celebration of Water and Peace, in Huatoki Plaza which runs beside the Huatoki River/stream. Fluid City incorporates two storylines: the first weaves together interviews with five environmental visionaries and leaders in the Taranaki region whose foresight brought in new measures to protect the health of the waters; the second audio loop links a farmer in the Ruahine Ranges (Manawatu) and a freshwater ecologist. 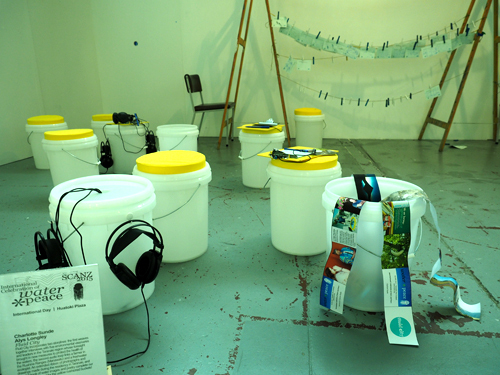 An extended ribbon of photographs and drawings made during the residency in Taranaki, and an artist book of water images and poetry completed the installation. Fluid City is a project that emerged from the collaboration of artists, dancers, scientists, an architect, urban planner and educationist who came together to explore innovative ways of communicating scientific expertise and other bodies of knowledge about water. 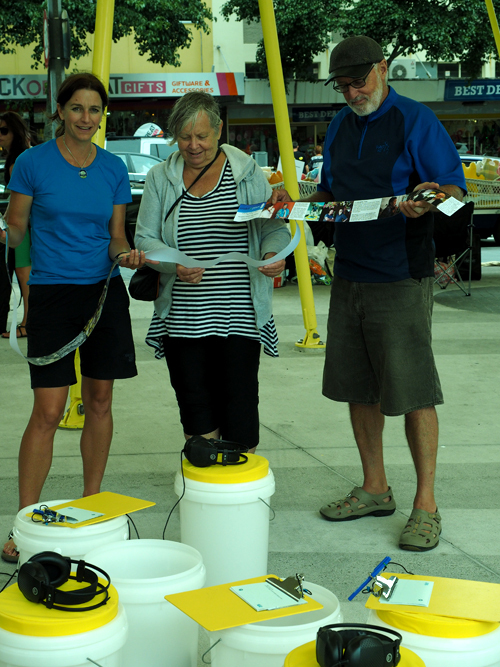 We wish to take the mobile architecture (three vessels or ‘roving reservoirs’ towed by bicycles) to other New Zealand cities and rural towns to give voice to the powerful water voices in those communities and to revitalise an appreciation of water as a medium for peace-making. Fluid City is committed to the proposition that interactive, playful, evocative, experimental, aesthetic, and creative forms can bring to life, in very powerful ways, the multiple meanings and values of water. The knowledge contained in scientific reports and academic articles needs to be communicated to the community, but tools with a far greater outreach are required. 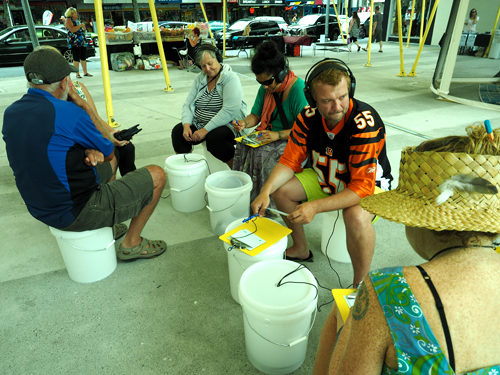 We share a conviction that interactive events in the public realm, based on sound scientific research and incorporating other bodies of knowledge, are more likely to facilitate willingness and provoke curiosity among members of the public to engage in a relationship with water that goes far beyond its use as a mere commodity. Somewhere in the balance between information and imagination we can find the space to envision new possibilities for living and relating to our environment. 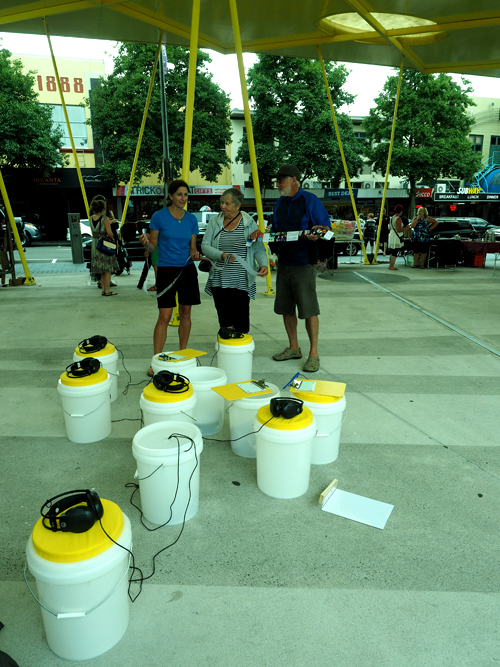 The artistic design imperatives of mobility, imagination, provocation and interactivity determine how the artist/researchers in the Fluid City project articulate issues related to water ecology in Aotearoa. The project provides an innovative avenue for sharing current research in water sustainability. Complex ideas are translated in playful ways for diverse audiences of all ages. This project will invite participants from toddlers to the elderly to think about the world they live in and the way they live in it, through art-science installations that are evocative and applied, abstract and literal, real and imaginary, contemporary-sited and future-orientated. We are proposing a novel way of taking research ideas out of the academy and associated professional domains (the published journal, laboratory, lecture room or conference centre); similarly, we invite artists to step beyond their studio, the theatre or performance stage. Instead, let’s imagine a torrent of ideas moving between art and science. Let’s imagine research as a kind of wave, moving people, allowing the ground beneath ideas to shift. Let’s imagine a project that specifically aims to reach diverse communities of all ages, from the very young to the very old and that washes between schools and communities, between artists and academics and every day spaces. Let’s imagine contemporary art practices on water ecology inspiring these communities in a way meaningful enough and lively enough to compel the uptake of genuinely sustainable water use in our communities. 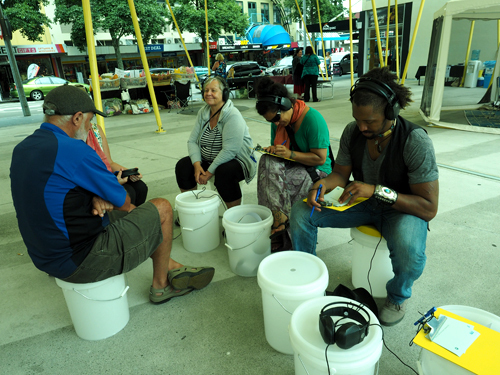 This kind of imagining guides the interdisciplinary research team of the Fluid City project, in which artists, scientists and educators work together with members of the public to create public art installations about water in New Zealand communities.